On a remote Indonesian island, a new project raises hopes and hearts. To reach Kataka School, you drive east along the coast from Waingapu, then head south into the rugged hills of Sumba, Indonesia. Flashes of silvery ocean appear outside the car windows, and, deeper inland, a herd of wild horses. As you near the school you can spot traditional Sumbanese houses with steeply pitched “high-hat” roofs. Some are thatched, others are made of tin that’s painted a brilliant blue. They seem at first to be mirages, these roofs, a way to touch and reflect the sky. I later learn they’re part of the island’s tradition of ancestor worship, a way to praise God and celebrate the divine, a sign of hope and faith in the unseen, aspiration as architecture. Sumba is rich in tradition and sunlight but poor in many other ways. Men head to sea in slender fishing boats. Women tend small gardens and raise a pig if they’re lucky. Children pull on red-and-white uniforms, grab their books and head to school. Some of them also bring along the portable lanterns that illuminated their (otherwise dark) homes the night before. The lanterns go back to school in the morning so they can be recharged. Traditional Sumbanese roofs are a way to praise God and celebrate the divine. I’m here to see the lanterns and the school and learn more about a project that’s helping to electrify one of the poorest regions of Indonesia. The Hivos International Solar School Project, implemented by Winrock, is bringing renewable power to this remote island through photovoltaic panels that power laptops, phones and printers at the school, and, for a small fee, also charge lamps the children take home with them at night. Though no bigger than a large flashlight, these lanterns emit a powerful beam of light. Children study with them. Fathers take them out on fishing boats. 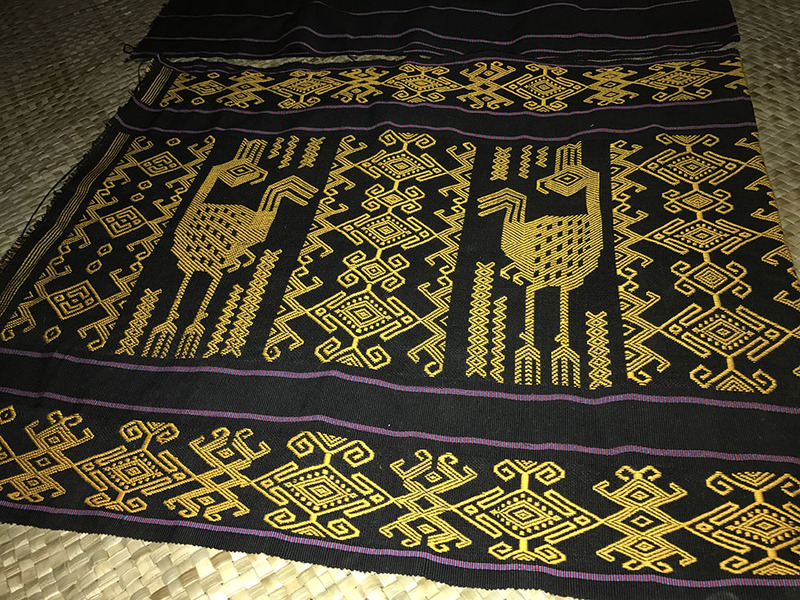 Mothers use them to weave the traditional textiles called ikat for which Sumbanese women are known. Ikat brings a good price, which can be used to pay school fees or other expenses. It’s amazing what a little light can do. By the time we reach Kataka School, it’s several hours past the 7 a.m. start. In one classroom, a teacher drills students on the Hindu kingdoms of Indonesia. In another, parents meet to discuss their students’ scholarships. Before solar power came to Kataka School, teachers who needed to make copies of their exams would endure the same bumpy 90-minute ride to Waingapu we’d just taken. Students would have scant light left for homework after they washed the dishes and fed the pigs. What little illumination families had was eked from smoky (and expensive) kerosene lamps they seldom used. At Kataka School, students have more hours to study now that they have rechargeable lanterns. Now Kataka is the envy of the region. Students from neighboring schools flock there to study for tests. Academic achievement is on the rise. Students like 15-year-old Rambu Ana Awa, the youngest of nine children, says the lantern has made her more excited about school. Awa will be attending high school next year, a significant achievement in a region where only 51 percent attend secondary school. 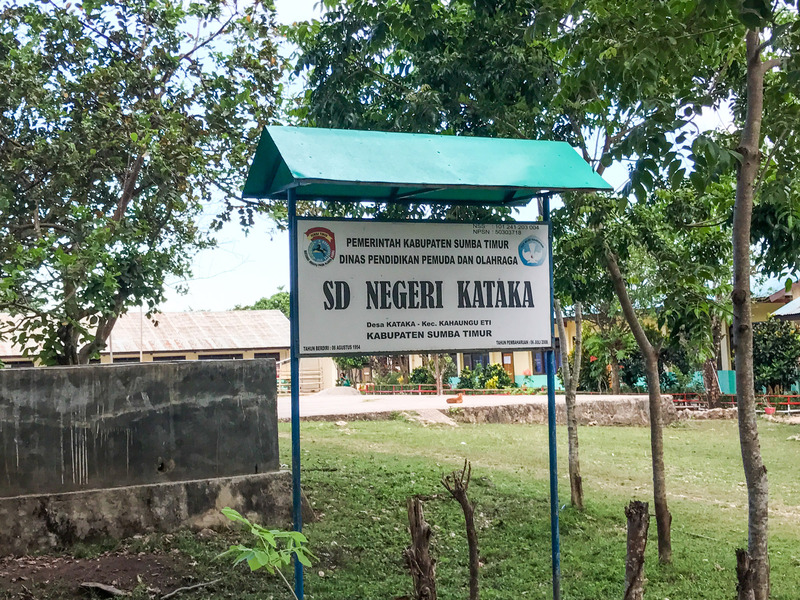 The Kataka Solar School is part of a larger effort to fully electrify Sumba by 2025, with hydro, wind and biogas projects in addition to solar. Though the island is full of renewable resources, they’ve been largely untapped until recently. Only 25 percent of Sumba’s 650,000 inhabitants had access to electricity before 2010, the rugged terrain of this 4,300-square-mile island making a traditional electric grid impractical. 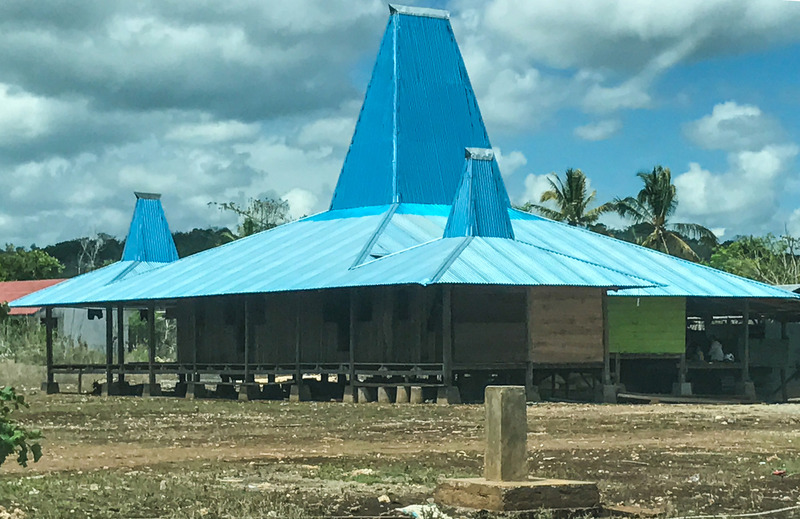 But with early renewable energy efforts bearing fruit, sustainable Sumba is now becoming a reality, with almost half the population having access to electricity. Umbu Manja Meha, the head of Kahaungu Eti village, says he welcomes the Kataka project. “I’d like to see this expand to other schools and to local government offices here,” he says. Quite simply, sustainable energy is more affordable. “If we use the grid, we have to pay money. If we don’t have money we can’t get electricity,” he says. Meha says that “Kahaungu Eti” can be translated as “one heart.” “Although we are all different, we have one heart,” he says. Paulina Naha Ana Awa wove this traditional textile more quickly thanks to the light supplied by the rechargeable lantern her son brings home from school. One of the weavers is Paulina Naha Ana Awa, whose son, Umbu Roy Kahumbu Nggiku, carries the lantern to and from school every day. As darkness falls and with her field work and other chores done, she sits on a woven mat with a back-strap loom to weave the blue and gold ikat, her hands flying, a growing swarm of insects enjoying the light with her. That’s no problem. The extra hours of illumination mean she can produce ikat much more quickly, she says, and that means more money for her family. Kataka School is a pilot project. 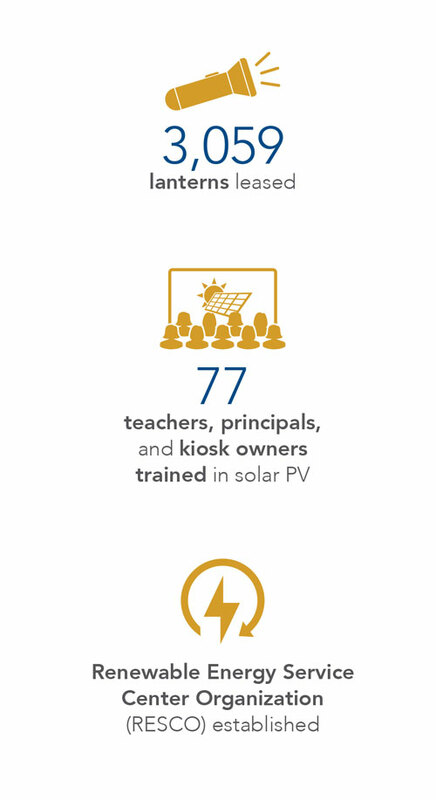 Soon there will be 25 other schools on Sumba with photovoltaic panels — and countless other families whose homes will be brighter and evenings more productive. A fully electrified Sumba may still be a dream, but it’s one worth pursuing. It’s aspirational: a pure blue roof raised up into the sky.